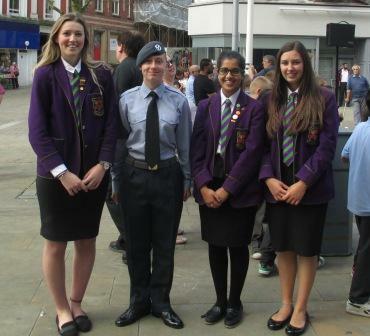 Our new School Officers represented Westholme at Blackburn with Darwen’s inaugural flag raising ceremony in recognition of National Armed Forces Week. The flag was also been raised at famous landmarks and Government buildings including 10 Downing Street and the Ministry of Defence. Around the country Local Authorities, town and parish councils and communities large and small are also flying the Armed Forces Day flag, showing their support for our Servicemen and women, and for the wider Armed Forces community of families, veterans and cadets. 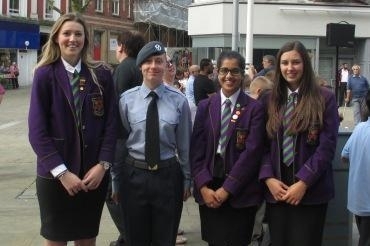 It was also fantastic to see Lexi Smith (Lower Sixth) representing her local cadets organisation at the ceremony.